This is especially frustrating since other continuous integration servers, like Travis and Circle CI, make this easy. 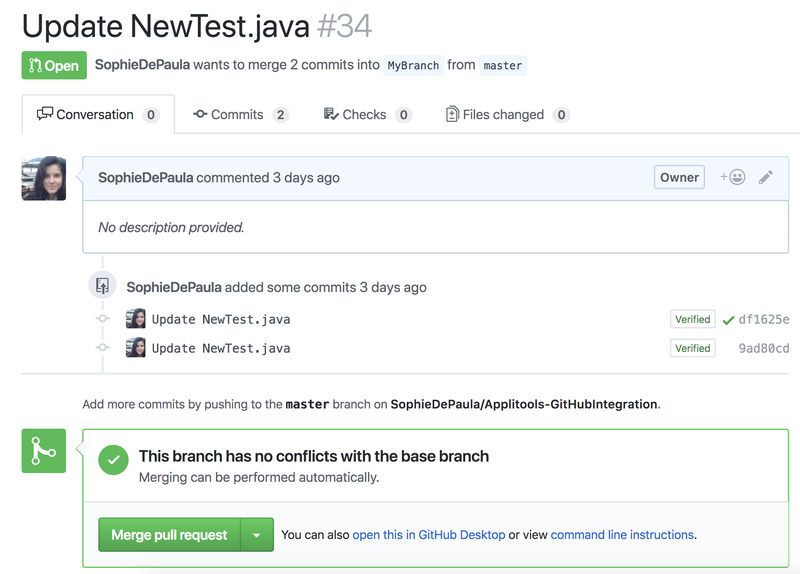 Since Jenkins is the third most popular continuous integration tool used with GitHub (after Travis and Circle CI), you’d think this issue would have been solved. 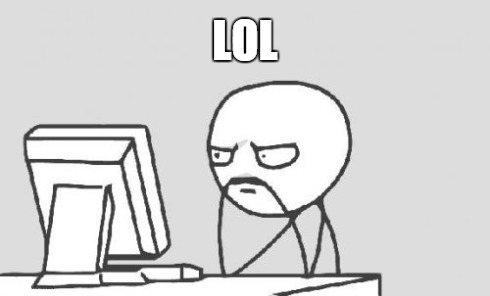 But when I started looking online for a way to solve this issue. I found some good resources, but not one document that described the process from beginning to end with all the configurations needed. 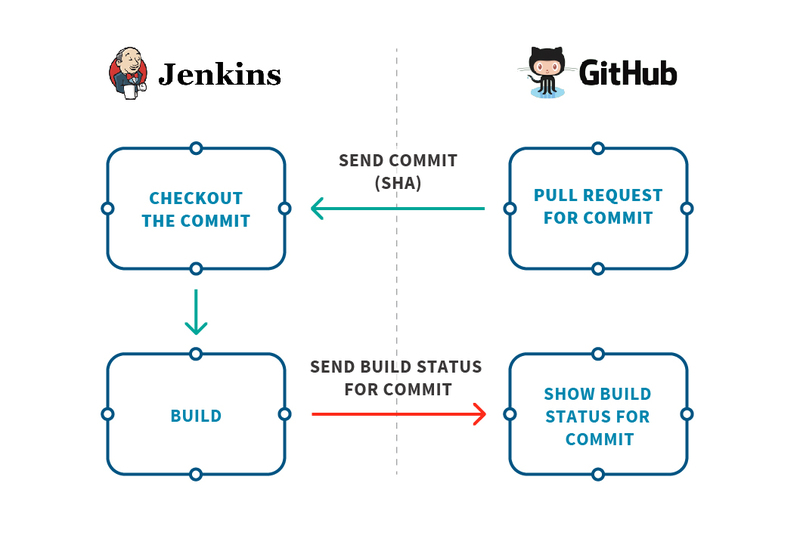 So, to spare you the pain I’ve gone through trying to make this work, I wrote this end-to-end tutorial on how to update Jenkins build status in the GitHub pull request page. To get a better understanding of the interaction between those tools and the problem they present, see the following diagram. The red marks are the parts that are missing and this post is attempting to fix. A Jenkins server up and running on a static URL. So, how to get GitHub setup with Jenkins? These steps explain. What you’ll do here is install the Jenkins plugin on your GitHub repository in order to trigger a build in Jenkins when you commit a change in GitHub. 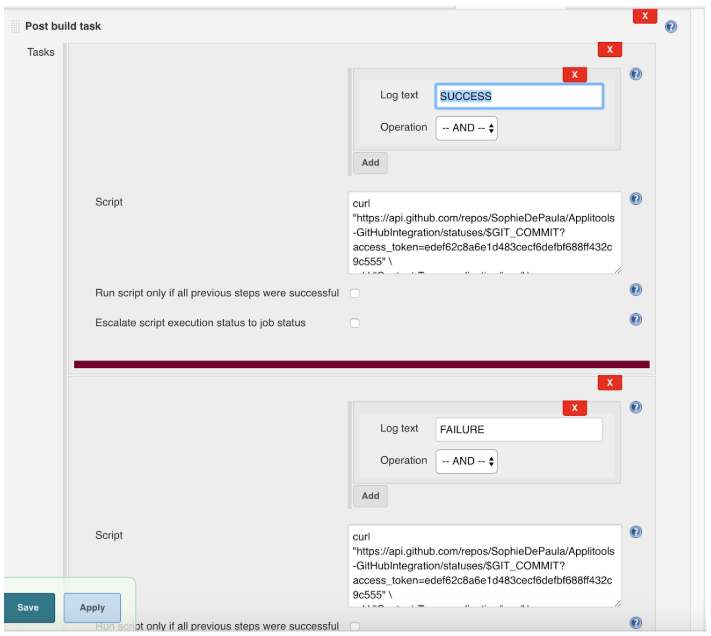 This way, Jenkins can run tests to make sure your code is working as expected. Add your Jenkins static URL or IP. Here’s what those steps look like visually. 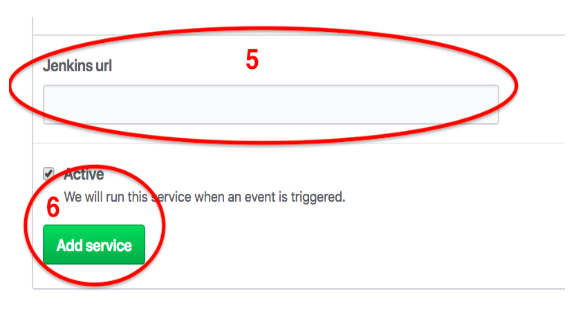 First, click on Settings, then Integration & Services. Next, click on Add service and search for Jenkins. Finally, add your static Jenkins URL and click Add service. 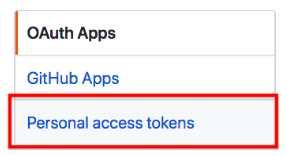 You will need to generate a GitHub access token for security purposes. This token can be used by an application to use an API, here the application is Jenkins and the API is the GitHub API to update the Jenkins build status in the pull request. Ok, now you’re on to some non-obvious items. Go to your GitHub account. 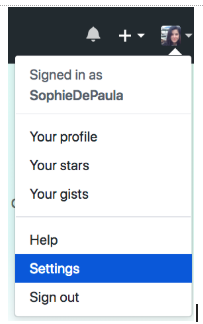 Under your profile, open the drop-down menu and click on Settings. 5. On the top right corner of the screen click on the Generate new token button. 7. Under repo check the repo:status checkbox. 9. Click on Generate token at the bottom of the page. 10. Make sure to save your token somewhere so you can use it later, such as in the curl commands above. So, how to get Jenkins working with GitHub? Let’s show you how. 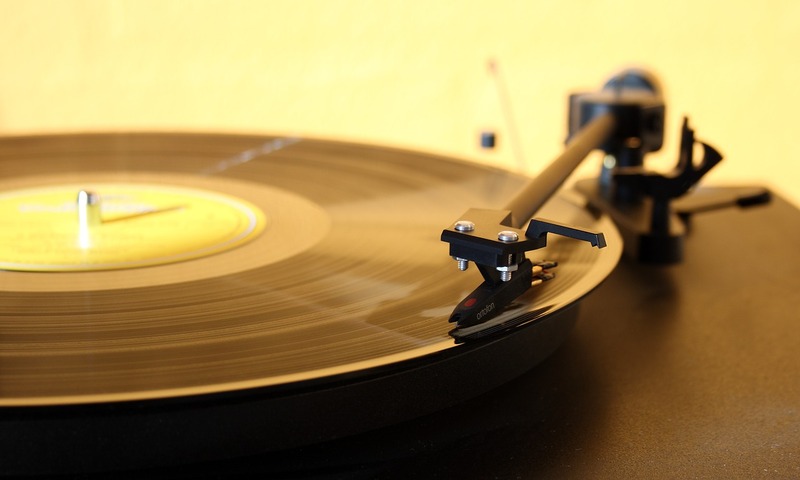 What you’ll do here is set up your Jenkins project to run your automation tests and call the GitHub API to update the status of the commit with success or failure. Paste the repository URL that you would like to integrate with under repository URL. Set the Branch to integrate with under Branch specified. Next, the Manage Plugins command. And finally, the Install Hudson build task command. The next step is to go into your Jenkins project post build actions, and add two post build tasks. One task for success, and another for failure. You will need those actions to distinguish between a successful build and a build that failed. What you are doing is looking for the words “SUCCESS” or “FAILURE” in the Jenkins log. When you find “SUCCESS”, you run a script that uses the curl command to call the GitHub webhook API to set the build status of the commit that started the build in GitHub pull request. The commit identifier, the SHA, is accepted by Jenkins within an environment variable – $GIT_COMMIT. Similarly, if you find “FAILURE” in the Jenkins log, you use curl to let GitHub know that the Jenkins build failed. Either way, the status will be updated in the pull request. And, if you run Applitools tests, the Applitools status will also be updated. Let’s dig into these post-build commands, using the curl man pages. As you can see, these are having curl request a URL from api.github.com. This URL has your GitHub username, repository name, and access token in it. You’re sending a JSON snippet in the header of the HTTP request, as specified by the -H option. And you’re sending an HTTP POST request, as indicated by the -X flag. And the data that post command is sending, indicated by -d, is a bit of JSON with either success or failure, your Jenkins URL, and your Jenkins project name. So, where do you get all this information? GitHub Username – This should be your GitHub username. Hopefully this is obvious. GitHub Repository Name – You can find the name of any particular GitHub repo at the top of its page. In the example below, the repo name is Applitools-GitHubIntegration. In order for GitHub to find your Jenkins server, you should plug in your fully qualified domain name. 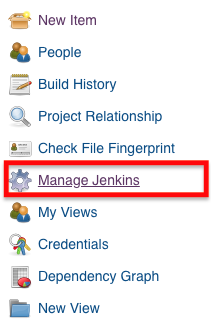 Jenkins Project Name – which you can see in the Jenkins UI as shown below. As you can see, the Jenkins build status is now appearing in the pull request page.